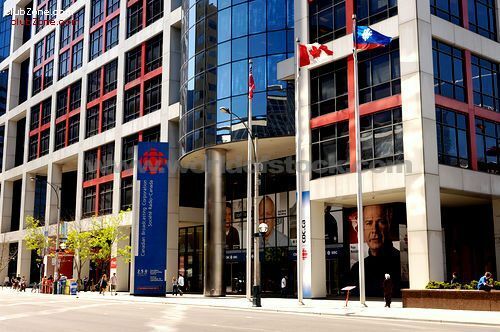 I’ve had the privilege of working at the CBC, Canada’s public broadcaster, for over nine years. Richard Stursberg’s tenure was much shorter and in his book, The Tower of Babble (Douglas & McIntyre, 2012), he takes it upon himself to explain his six years as the Vice President of English Services. Throughout the memoir, he takes pride in the decisions he made during his tenure (the Globe & Mail’s John Doyle describes it as a time when he “took the CBC kicking and screaming into the 21st Century”) and it’s an appropriate description. But after reading Stursberg’s personal account in The Tower of Babble, one is left cold. Stursberg is a man who may present himself as the media equivalent of Henry V, but he comes across as Richard III in this lengthy diatribe. Stursberg is a fascinating person to watch, where his rough personality is often matched by his remarkable knowledge of the media landscape and his intelligence. It’s quite the mix of qualifications that has landed him in a number of powerful Canadian arts organizations, such as Telefilm and the Canadian Broadcasting Corporation. But because he’s a sharp, contemporary thinker whose drug of choice is ratings (what he considers the only measure of the success of any Canadian film or radio or television show), he also became the bull in the china-shop of Canadian Culture. Countless stories reveal his forthright attitude that any art form is a waste of time if the mass audience doesn't embrace it (which was his mantra from the get-go).Whether you disagree with this notion or not, it doesn't matter to Stursberg who, for hundreds of pages in his memoir, cites a rating share, or the cost of producing a program, on virtually every page to defend his argument. This becomes rather tiresome to the reader because even though he makes the point and does so in a sensible, well-argued way, his argument wears thin for the most obvious reason. It signifies a bottom line approach to broadcasting with no room for negotiation. I was at CBC a couple of years before Stursberg got the appointment as Vice-President of English Services in 2004. It’s a big job for a big ego and Stursberg seemed ready to take up the challenge in spite of friends and colleagues who told him not to. 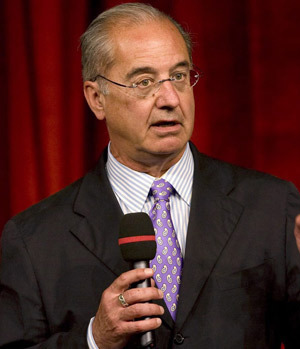 As he puts it “when I discussed the possibility of going to the CBC with friends…they argued sharply against it.” Yet, after carefully studying the situation, with strong advice from the president Robert Rabinovitch, Stursberg took the job and (although he doesn't say it), he came to save the organization from itself. He argues persuasively that the CBC was a dysfunctional unit at the best of times; whose silos representing News, Sports, Arts & Entertainment rarely worked in unison. He also clearly lays out how senior management reflected that dysfunction by operating in isolation. In fact, for the longest time, of which I can attest, TV was considered the “senior service” of the CBC, while radio and new media were considered junior or poor cousins to TV. According to Stursberg, it was an attitude that left the CBC bereft of viewers in 2004 with a poorly focused programming strategy and a haphazard direction of new media. To a certain extent, Stursberg’s assessment was correct. CBC prided itself in serving a constituency of viewers and listeners, who were bright and interested in high quality programming. For Stursberg, this was a pointless and frequently selfish attitude (“the Corporation was the victim of its own weird sets of ideas and the elitist directions they [management] suggested”). He then goes on to say that the CBC suffered from the weight of its own blindness to the changing world of media, personified in the growth of television. “The first and most important issue was the belief that popular success was inherently incompatible with quality. It was widely felt that a choice must be made between producing programs that were popular and making those that were good. There was no middle ground. A show with broad appeal must by its very nature be coarse, stupid or vulgar; a high-quality show will inevitably be too complicated, intelligent and refined to attract a significant number of viewers.” This was Stursberg’s principle opinion of the thinking at CBC upon his arrival. It’s an opinion that paints every comment he makes throughout the first half of his book and he argues it well, backing it up with CBC’s poor ratings in News, Drama and Science shows. Again, it’s ratings that matter most to Stursberg. Why bother producing good quality shows that nobody will watch in the first place? Sometimes The Tower of Babble is less a memoir and more of a rant. 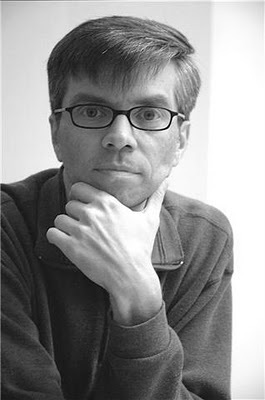 It’s a book Michael Enright suggests is “dripping with contempt” and he’s not exaggerating. On page after page, Stursberg criticizes the immobility of the News division, the idealism of the Doc unit and the culturally vain Arts and Entertainment division and the false sense of security that undermines creativity among the rank and file. In other words, tired thinking made the CBC look, feel and sound “old” and not contemporary in any way. To him there was no room for consensus, or negotiation at the level of senior management; or, for that matter, at the board of directors who, as government appointees, oversee the management of the corporation. Ironically, Stursberg appears rather unapproachable and non-conciliatory in his quest to liberate the CBC from the blinders of the past. He takes the challenge of the job willingly, but accepts no responsibility for his actions. He’s like General Patton going into battle regardless of whom he offends. He sees himself as the conquering hero who has no need to apologize for his actions because his reasoning is not only sound, but right for the times. Presently, the corporation still lives in his shadow. His vision, rightly or wrongly, has worked. TV viewership is higher than ever. 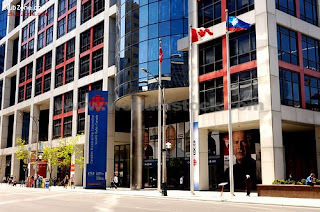 CBC radio has considerable impact in the ratings game in many of Canada’s major cities. The website, offering a plethora of information, is better now than ever before. Was it all his doing? No. It was the collective effort of everyone who works there. Yet Stursberg hasn’t the humility to admit he was nothing more than a significant cog in the wheel of CBC’s resurgence as an important contributor to Canadian culture. Over 5,000 people work for the CBC. But he’s not a “team-player” by anyone’s definition. He operated in a bubble, albeit large, and his self-satisfied attitude was such a turnoff, that it deterred people from ever participating in his highly skilled, intelligent game. While he intellectually appreciates the talent of the people who work at CBC, his compliments come off as sarcastic. He describes his adversaries as “tough and pugnacious” (Arnold Amber) and “pugnacious, brittle and clever” (Tony Burman). Allies or people he likes are described as “sunny and optimistic” (Neil McEneaney) or “calm and measured” (George Smith). Consequently the author comes off as seeing the world in black & white with no shades of grey. He highly praises the people who were on side while implementing his vision, but disrespects those individuals who disagree with him. Stursberg hates ambiguity. To him, the media world is a jungle that requires an aggressive and tough attitude to cut through the vegetation in order to find the meat, as it were. It’s an attitude fueled by money and driven by ratings. Any notion of cooperation, save for a business transaction, is an obstacle to success as opposed to a collective effort that can raise the morale of any company. (Morale was poor before he arrived and was much worse during his tenure.) Stursberg is so blinkered as to how a company works, on an emotional level, that I wonder why he’s been so successful in business, politics and broadcasting for the past 25 years. Then it struck me: he’s a bully. Not in the schoolyard definition of the term, but in the coolness of his approach. Less like Richard III and more like Iago, perhaps. The Tower of Babble meanders its way through the history of Stursberg’s term in office. It becomes very interesting in Chapter Eight (subtitled “Money”) where the story of the CBC and the fading economy come into proper focus: revenues “began to dry up” and projections of $20 million fall short of the $70 million loss the CBC had to endure by the end of 2008. Stursberg and the senior management team felt that the programming would bring the necessary revenues if they stick to their plan to produce the shows Canadians want to watch. “Unlike administrators of the past, I had no sense that there was a mutually exclusive choice between money and cultural success.” He goes on to explain that the CBC’s unelected Board of Directors became the real deterrent to his success. Stursberg’s characterization of the board in this important chapter is sarcastic yet critical to understanding the real issues that affect the CBC, namely governance. The CBC board doesn’t work the same way most boards of director work in the private sector. For instance, they don’t hire or fire the president. And while the board oversees all activities within the CBC, Stursberg says “its powers are essentially negative. It can block things from happening by refusing to vote for them…it can refuse to vote the budget…it can slow things down.” Alas, Stursberg offers no alternative to the board and its powers of governance. Shortly after Stursberg became the President of English Services, which included TV, Radio and New Media, we used to refer to him as King Richard. As someone who worked before, during and after his “reign,” I can only say that the word “smug” best describes him. Yes he had great ideas. 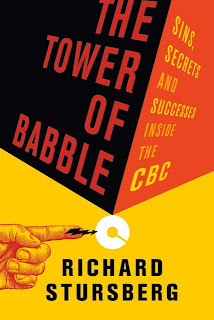 And yes the CBC had to embrace the new, portable technologies in order to gain audience share, but the content of his book is only of interest to current and former CBC employees and media people – if they care to read it. (There’s nothing in The Tower of Babble worthy of a soccer mom's time and money.) In fact, while coursing through the bizarre details of contract negotiations with Gary Bettman of the NHL, failed agreements with the Canadian Football League and the Canadian Curling Association, Stursberg reveals very little about himself personally. He writes well enough and has no shortage of “clever” commentary, but his tone is strictly academic, and his words are carefully chosen to support his argument. But like former Prime Minister Brian Mulroney, who blamed everybody else for his failures and accepted no responsibility for his actions in his memoir, Stursberg offers an interesting quantitative argument, but can’t admit to any personal failings regarding the CBC. While not stupid, The Tower of Babble instead becomes its own tower of incomprehension. – John Corcelli is a musician and broadcaster. He's currently working on a radio documentary, with Kevin Courrier, for CBC Radio's Inside the Music called The Other Me: The Avant-Garde Music of Paul McCartney.